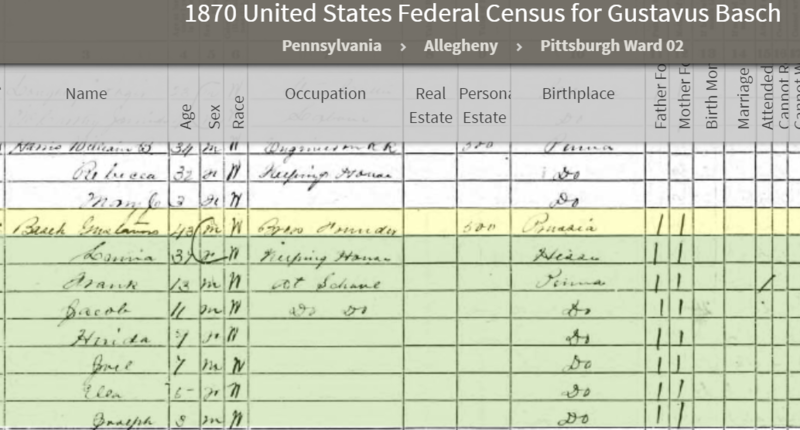 This entry was posted in Connellsville, Genealogy, Goldschmidt/Goldsmith, Pennsylvania, Philadelphia, Pittsburgh, Washington PA and tagged Basch, Benedict, Connellsville, Goldsmith, Pennsylvania, Philadelphia, Washington PA by Amy. Bookmark the permalink. Nice that he got to see his family expand after the sorrow in his early years. Yes—what a turn around in his fortunes. It is truly astounding how you manage to look through the maze of your family tree and to report on it so clearly, Amy. These were the times when large families were part of the demographic landscape. The story of the Simon Goldsmith family reminded me of my own grandmother Emma Klopp, whose 16th and last child was my father. After my father was born in 1900 she lived on for another 41 years. Have a great week, Amy! Wow, 16! How old was she when he was born? And what was the age span between the eldest and your father? You must have a hundred first cousins!! My grandmother Emma Christiane was 44 years old when she gave birth to my father. There are indeed hundreds of first cousins. But a report on them would go beyond the scope I have set for my blog. Half of my paternal uncles and aunts have been dealt with. The other half I will start writing about, when Book I has been published in its entirety in a few months from now. By the way, I have not forgotten your request to write the missing episode of Biene and me meeting again at Lake Baldeney. Have a great day, Amy! I didn’t know you were publishing a book. How exciting! Is it based on/composed of the chapters in your blog or something else? And yes, I am glad you haven’t forgotten about that episode!! I already self-published the book for the immediate family. What I meant by Book I is what I am publishing right now on my blog. Book II will be about my wife’s fascinating story. Book III, if I live long enough, will deal with our family in Canada. Then there are still half of my uncles and aunts to do. Oh my, a lot of work is still ahead of me. But it is much better than having one’s mind dulled by watching endless hours of TV. Yes, and it not only keeps your mind sharp, it will benefit your family for many generations to come. Will you publish the blog chapters into a separate book? I do that periodically with my blog just to preserve it in hard copy format. Yes, indeed. This what I am doing also. It is good to have an old-fashioned hard copy in case our entire digital world collapses one day. Having said this, I need to emphasize that I have found many friends through the internet. Thank you, Amy, for your valuable input! As have I—yourself included! But I still don’t trust it for storage! I know—ten daughters!! I can barely handle TWO! I’m beginning to understand why you get so frustrated with your DNA results, Amy. There were more grandchildren?! The Civil War period is not one of my favorite time periods to research. 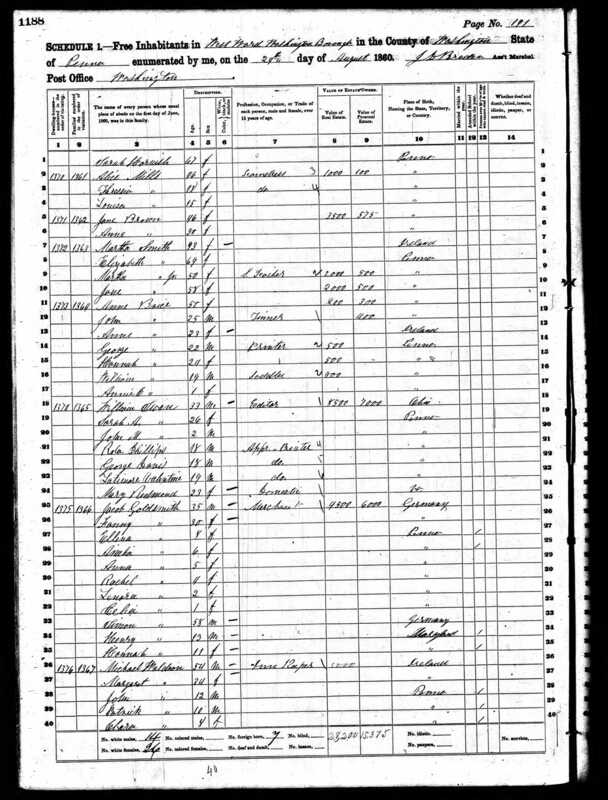 I have only two ancestors who served during that time and I waited for Fold3 to make the records available for free to look them up. So I don’t have any good suggestions on where you should search to find more on Jacob and Gustavus and their enlistment. Thanks, Cathy. I searched Fold3 and also the government website that has veteran information, and neither name came up as a veteran. And yes—LOL! You can see the full effects of endogamy with my Goldschmidt-Schoenthal-Katzenstein family—and those were just the US intermarriages! That’s a lot of grandchildren to think of around birthdays etc! I am so impressed with your research Amy, especially in teasing apart all the various intertwined strands. Given the tiny geographical area most of my ancestors lived in, generation after generation, I am really surprised not to have encountered anyone to whom I’m connected through more than one person. I think with Jewish families, it was more likely because there were so few and because until fairly recently there was very little intermarriage among Jews and non-Jews. And thank you! Yes, I guess my lot were only really constrained by geography and class. Religion may have been an issue in terms of Protestant / Catholic — my mother’s family had a few rabidly sectarian Orangemen — and possibly during the period of fragmentation in the Church of Scotland, but I have no evidence of that. Or there are entanglements you just haven’t found! What always comes through this kind of narrative is how family helped each other. We may not always know if everyone got along all the time. It looks asif members of the families you present stepped in at the right times to help when a parent died or someone needed a place to stay for awhile. In this respect they had a kind of wealth and access to resources the nuclear family does not often consider or have anymore. It will be interesting to see what happens when we get to the 20th century for these families. Thank you for this insight, Emily. The connection among the children and then among Jacob’s children is quite striking, as you will see in the posts that follow. I must admit that I can’t imagine taking in so many family members—I l need quiet and solitude and privacy as I am introverted, so the idea of a household with so many adults overwhelms me! 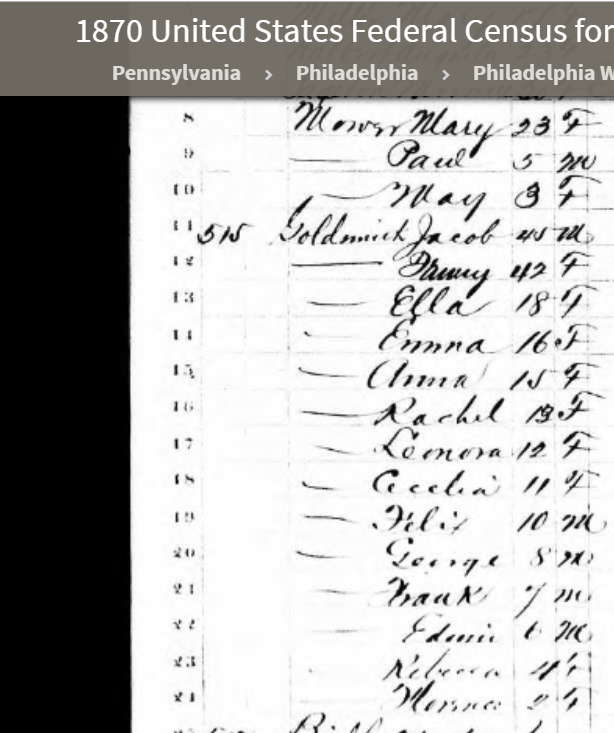 I love the way you can pull so many documents together to tell your family’s story! 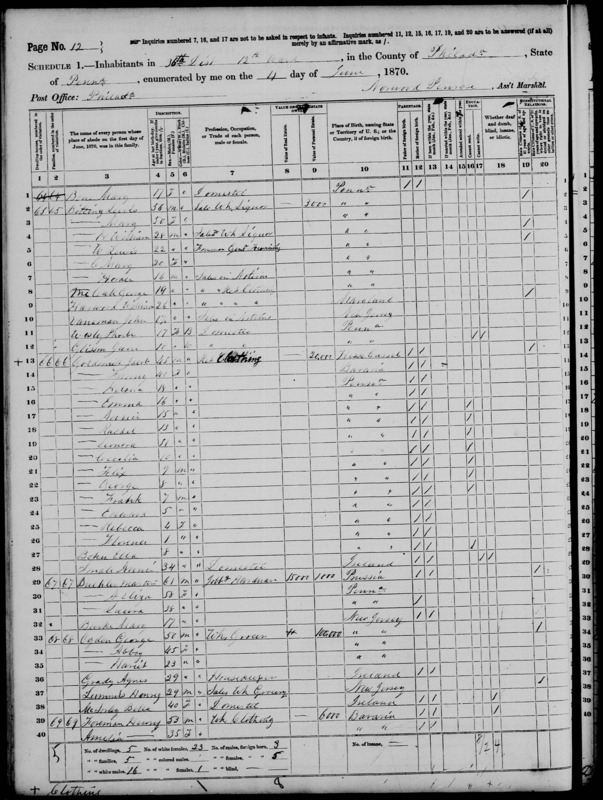 This is a great example of the need for documenting sources in family research. I really need to learn how to add end notes and link them to the body of my text the way you do! Amberly is very helpful. Thank you so much for the link! Nice post. Your family is truly blessed to have you, so carefully researching, your ancestors! Thank you! As you know, this is a labor of love. I can’t even imagine such a large family. 24 grandchildren to buy for? Obviously different today but it must have been hard to even remember all of their names (except for Jacob). I have one – yes ONE – first cousin! That’s my reaction, but when I posted this on Tracing the Tribe, I got many, many responses from people saying they have WAY more than that—as many as 65—grandchildren. It seemed most were Orthodox and/or living in Israel. I sure don’t see that among my peer group. Most people have AT MOST 8-10 grandchildren, and those are people with four children.